SKU: 4103-09-K44. Category: Universal Colibri. 4103-09-K44 This is a Complete kit for 4 doors. 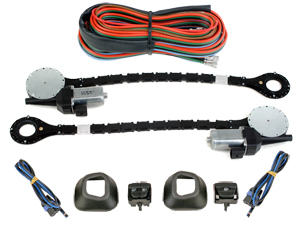 The kit comes with all the mounting and installation hardware needed. It will also have a switch kit the (4990-50-421) jokers. This kit is all plug and play wiring the installation is a snap with the instruction booklet provided. 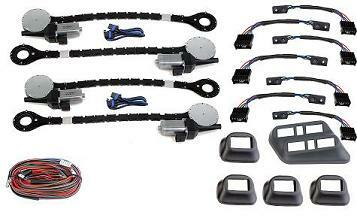 This kit will work on almost any vehicle with manual crank windows.